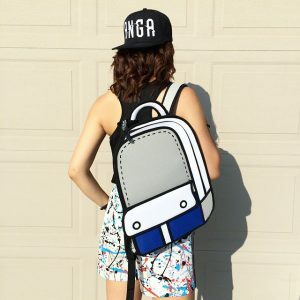 This 2D Bag Purse should definitely fit your largest essentials that you would carry. Throw your puppy in it, your makeup (what we do), and feminine emergency products. It really does look like its straight out of a cartoon! This is my new go to purse now. 2D rules! 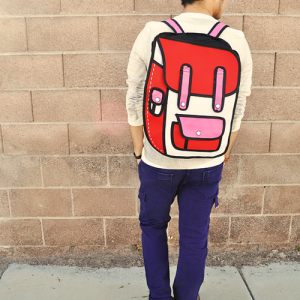 This 2D Bag Purse should definitely fit your largest essentials that you would carry. Throw your puppy in it, your makeup (what we do), and feminine emergency products. The handles are long enough to fit on your shoulder comfortably. Another perfect grab and go 2D Bag for your everyday needs and quite the fashion statement. 1. One primary compartment for shoving everything inside! 2. Outer water resistant canvas material to protect your valuables. 4. Really stand out with a larger 2D purse!